For years, Americans have been told to avoid eggs—especially the yolks—at all cost. In the battle against heart disease, eggs have been portrayed as a villain. Yet a recent review study of 17 reports showed no increased risk of cardiovascular disease in healthy adults who eat up to one egg per day. Despite new research touting the health benefits of the incredible, edible egg, it’s hard to shake that bad rap. It’s safe to say a few eggs here and there will not derail a healthy diet. In fact, eggs supply protein, healthy fats, brain-boosting compounds, and more—all in a low-calorie, inexpensive package. Need more motivation to buy a carton or two? We’ve got a dozen reasons to enjoy the humble egg. 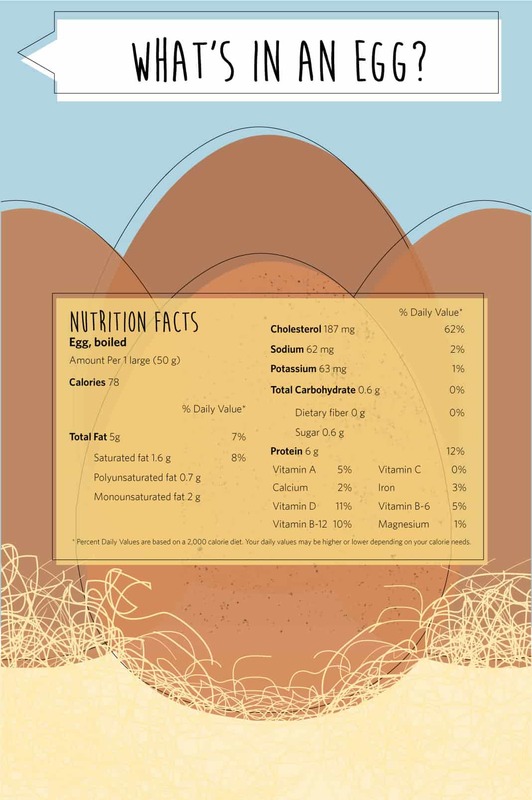 Two large eggs provide almost one quarter of our daily protein needs. Protein helps build and maintain body tissue and organs. Adequate protein intake, along with resistance training, can help prevent the muscle and strength loss brought on by aging. Due to ease of preparation and low cost, eggs are an ideal way to meet protein needs. One large egg contains just about 78 calories, so it’s easy to include with breakfast, lunch, dinner, or as a snack. Choline is a micronutrient that plays a big role in proper brain development in fetuses. It also improves memory and attention holding capacity. The recommended daily amount of choline is 425 to 550 milligrams, depending on your gender or whether you’re pregnant or lactating. A one-egg breakfast scramble has about 147 milligrams, making it a great source of brain-boosting choline. Research shows omega-3 fatty acids are beneficial in the fight against heart disease. Eggs laid by hens fed a diet high in omega-3 fatty acids are also a great source of these fatty acids. In fact, one large omega-3 egg contains approximately 160 milligrams of the healthy fat. So rather than increase the risk for cardiovascular disease—a common misconception—eggs can actually lower it. Compared to other lean, animal-based protein sources, eggs are relatively affordable. Three ounces of boneless, skinless chicken breasts runs around $1.31 and the same amount of lean ground beef is roughly 94 cents. Three eggs, which is the protein equivalent of 3 ounces of meat, costs only 70 to 75 cents. That may not seem like a big difference, but when feeding a family of four or more people three meals a day, seven days a week, a few cents per person can really add up. Swapping chicken for eggs once a week can save almost $200 a year for a family of four. While eggs can potentially harbor the salmonella bacterium, the risk is very low. Only about 1 in every 20,000 eggs pose a risk of contamination. That’s a rate of about 0.005 percent—much lower than raw chicken, which has a 4.3 percent rate of contamination. Take these easy precautions to protect yourself. 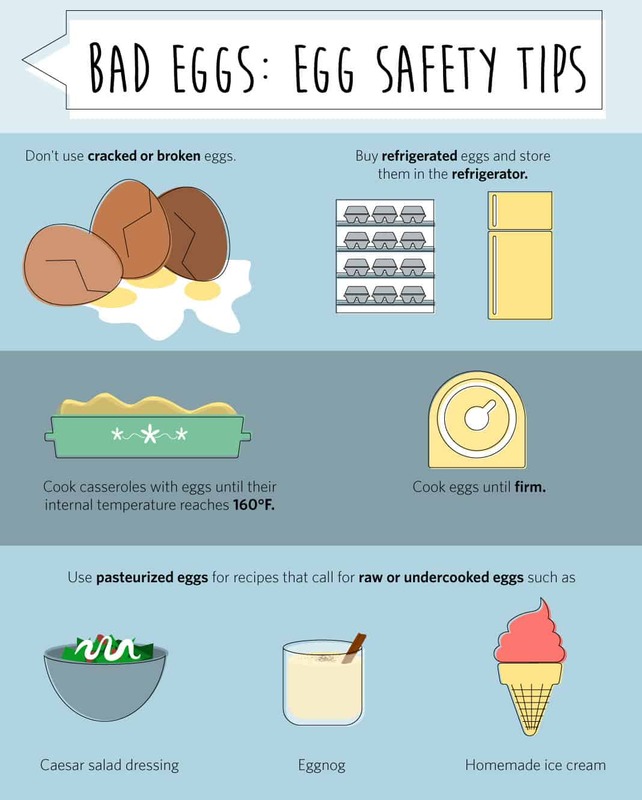 Don’t use cracked or broken eggs. Buy refrigerated eggs and store them in the refrigerator. Cook egg-containing casseroles until they reach an internal temperature of 160ºF. Use pasteurized eggs for recipes that call for raw or undercooked eggs such as eggnog, Caesar salad dressing, and homemade ice cream. Eggs are one of the richest sources of lutein and zeaxanthin in the diet. Both of these micronutrients have been linked to a lower risk of age-related macular degeneration, which is the leading cause of blindness among Americans 65 and older. A study in the Journal of Nutrition showed eating one egg every day significantly increased blood levels of these two important vision nutrients. More research is necessary, but preliminary results show that a calorie-controlled, protein-rich, high-cholesterol diet can improve markers for people with type 2 diabetes. Participants who ate two eggs a day improved their weight, cholesterol, blood sugar levels, blood pressure, and more. Due to their protein content, eggs can help us feel full. Compared to carbohydrates, protein-rich foods are digested much slower and therefore keep you feeling fuller longer. A balanced diet with adequate protein intake can help promote healthy weight loss and weight maintenance. In a study where participants followed a similar reduced-calorie diet, people who ate two eggs for breakfast (versus the same amount of calories in bagels) lost more weight and reduced their BMI, body fat percentage, and waist circumference. Despite common fears and misconceptions about egg yolks, eating whole eggs may actually improve cholesterol levels. Egg whites contain much of the total protein in eggs, but yolks harbor most of the nutrients. Though grocery stores offer egg substitutes and egg whites, eliminating the yolks means you miss out on much of the benefits eggs offer, including their positive impact on cholesterol. One study showed eating eggs (versus egg substitutes) improved blood levels of HDL, or the good type of cholesterol. In addition to the protein, healthy fats, and micronutrients already mentioned, egg yolks contain an array of vitamins and minerals that help create and maintain healthy skin and hair. These nutrients include vitamin A, vitamin B12, sulfur, selenium, and biotin. Individually, they all play a role in healthy tissue, collagen, and keratin—the backbone of healthy skin and hair. Put them all in one package, and you end up with a super skin and hair booster. There aren’t many foods that come close to the versatility of eggs. Not only can they easily fit into every meal of the day, including snacks, they can be served sweet or savory. Plus they can be cooked in an assortment of ways: boiled, scrambled, poached, fried, baked, and more. Eggs can be eaten alone, in a sandwich, in a casserole—just about however you want them. 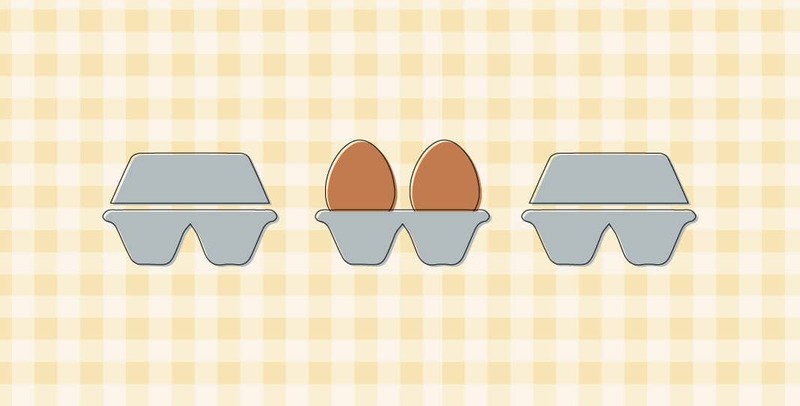 It’s easy to fit eggs into your day no matter what your taste preferences are. If you decide to boost your egg intake, it really doesn’t matter how you eat them. Sometimes it’s fun to change things up from the usual scrambled, poached, or boiled varieties. Here are a few tasty and healthy egg recipes to try.